Thomas Stephen Szasz (15 April 1920 – 8 September 2012) was a Hungarian-American academic, psychiatrist and psychoanalyst. He served for most of his career as professor of psychiatry at the State University of New York Upstate Medical University in Syracuse, New York. A distinguished lifetime fellow of the American Psychiatric Association ana life member of the American Psychoanalytic Association, he was best known as a social critic of the moral and scientific foundations of psychiatry, as what he saw as the social control aims of medicine in modern society, as well as scientism. His books The Myth of Mental Illness (1961) and The Manufacture of Madness (1970) set out some of the arguments most associated with him. "The purpose of this site is to advance the debate about Thomas S. Szasz's basic ideas and their practical implications. This is the only official Szasz site. It was created, constructed, and produced by Jeffrey A. Schaler, Ph.D. with the permission and guidance over the course of many years from his close friend and colleague, Professor Thomas S. Szasz. This site was given to Dr. Schaler by Dr. Szasz." "Thomas Stephen Szasz was born in Budapest, Hungary, and is currently a Professor Emeritus of Psychiatry at the State University of New York Health Sciences Center in Syracuse. Although many of his colleagues regard Dr. Szasz as a bird that fouls its own nest, he is highly esteemed among many humanists, libertarians, and critics of psychiatry, including an increasingly growing number of attorneys. Libertarians are often especially attracted to him because of what they would describe as his unremitting defense of personal freedom and responsibility, two values he regards as indivisible." "Thomas Szasz (b. 1920) has focused on one of the most neglected yet outrageous civil liberties violations--the involuntary commitment of mental patients. Historically, when husbands wanted to dump wives, families wanted to dump embarrassing relatives, and the government wanted to get strange (though harmless) characters off the streets, they'd commit these people to a madhouse." "Thomas Szasz is professor of psychiatry emeritus at the Health Sciences Center, State University of New York. His many books include Ceremonial Chemistry: The Ritual Persecution of Drugs, Addicts, and Pushers (Learning Publications, 1985) and Therapeutic State: Psychiatry in the Mirror of Current Events (Prometheus Books, 1984). Thomas Szasz passed away in 2012." "A giant in the field of psychiatry, and one of the most iconoclastic thinkers of our age, Dr. Thomas Szasz is generally acknowledged as having had a greater influence on contemporary thinking about psychiatry and mental illness than anyone in the field. He has written over 20 extraordinary books on psychiatry, politics, civil liberties, and other topics." "Thomas Szasz is a psychiatrist and author well known for his criticism of the modern psychiatry movement. He has consistently sought to apply classical liberal principles (such as bodily and mental self ownership) to social science and also explored the consequences of mandatory institutionalization of persons the state deemed to be insane. In his book, The Myth of Mental Illness (1960), Szasz claims that psychiatry ultimately robs people of the responsibility of being moral agents by obscuring the difference between socially unacceptable behavior and disease." "Dr. Thomas Szasz (1920-2012) was a Psychiatrist, academic, and champion of individual rights. He devoted much of his life to campaigning against many aspects of conventional psychiatry, in particular involuntary psychiatric treatment and commitment." "Since the 1961 publication of The Myth of Mental Illness , the great and tireless critic of the therapeutic state (and longtime reason contributing editor) has never stopped pointing out the coercive implications of politicizing medicine and medicalizing politics." "Thomas Szasz, the great champion of liberty and critic of what he has dubbed the 'Therapeutic State,' is 90 today. For the last 50 years, no one has worked harder or more eloquently to defend the individual from the State-medicine complex than Szasz. ... Emeritus professor of psychiatry at the State University of New York Health Science Center/Syracuse, Szasz is the author of some 25 books, most famously The Myth of Mental Illness , a 50th anniversary edition of which has just been published, hundreds of scholarly and popular articles, and a column in The Freeman ." "Thomas Szasz has long been the foremost critic of involuntary psychiatric commitment, and his many books on psychiatric tyranny have won for him a well-deserved reputation as a champion of liberty. He supports his condemnation of involuntary commitment by means of a radical thesis: mental illness is a myth. Illness, as an objective term, should be confined to physical ailments; so-called mental illnesses are in reality types of behavior that other people do not like." 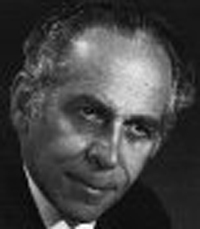 "There is no question that, as regards psychiatry and psychology, Szasz is the great advocate of the principle of voluntary exchange, the rule of law, and the open society. But in the course of struggling for some thirty years on behalf of these libertarian ideas in a field virtually monopolized by the purveyors—and beneficiaries—of collectivist ideologies, Szasz has achieved nothing less than a Copernican revolution." "Libertarians are very aware of Thomas Szasz's work in debunking the concept of mental illness and in unmasking involuntary treatment as a crime against humanity. But they are not likely to know that Szasz has outlined a theory of human action based upon free will and choice and that as early as The Myth of Mental Illness , (1962) he began exploring the role of choice in becoming an oppressed person. In For a New Liberty , for example, Rothbard gives Szasz deserved credit as a freedom fighter against psychiatric oppression but fails to acknowledge Szasz's contribution to a theory of human conduct." "Accordingly, we view the mad person as having a disease (insanity) that deprives him of moral agency and hence responsibility. The evidence? That mad persons (mental patients) disavow choosing their actions and attribute their (illegal, destructive) actions to other agents, typically God or 'voices'; and that psychiatrists eagerly validate this misinterpretation by accepting the patients' claims as valid, attributing their 'symptoms' to irresistible impulses lodged in the chemistry of their brains, and excusing their crimes as the products of 'sick brains.'" "I believe that just as we regard freedom of speech and religion as fundamental rights, so should we also regard freedom of self-medication as a fundamental right; and that, instead of mendaciously opposing or mindlessly promoting illicit drugs, we should, paraphrasing Voltaire, make this maxim our rule: 'I disapprove of what you take, but I will defend to the death your right to take it!' Sooner or later we shall have to confront the basic moral dilemma underlying the so-called drug problem: Does a person have the right to take a drug, any drug, not because he needs it to cure an illness but because he wants to take it?" "The identification of psychiatry with medical healing and humane helpfulness is factually false and morally deceptive, concealing an existential trap with untold-of potentialities for injury and death for the entrapped. More successfully than ever, the modern 'biological' psychiatrist misrepresents his profession as based on biological science and medical discovery, while more than ever it is based on pseudoscience and therapeutic deception." "The war on drugs is a mass movement characterized by the demonizing, as Chief McNamara suggests, of certain objects and persons ('drugs,' 'addicts,' 'traffickers') as the incarnations of evil. Hence, it is foolish to dwell on the drug prohibitionist's failure to attain his avowed aims. Since he wages war on evil, his very effort is synonymous with success. It is a fatal weakness of prudential critiques of drug policy that they ignore the 'religious' character of the war on drugs." "People are saying that, of course, multiple personality disorder and social phobia are excesses, but schizophrenia, depression, and so on are real diseases and therefore justify involuntary hospitalization, outpatient commitment, wholesale drugging of children, of people in nursing homes, and so on. I have always challenged the 'psychoses.' Why don't you have a right to say you are Jesus? And why isn't the proper response to that 'congratulations'?" "If you use language carefully and are serious about libertarianism and psychiatry, then the term 'libertarian psychiatrist' is, quite simply, an oxymoron. Libertarianism means that individual liberty is a more important value than mental health, however defined. ... Non-coercive psychiatry is also an oxymoron. This is one of the main reasons why I never considered myself a psychiatrist — because I always rejected psychiatric coercions." Liberty Against Power: Essays by Roy A. Childs, Jr. The introductory paragraph uses material from the Wikipedia article "Thomas Szasz" as of 10 Jul 2018, which is released under the Creative Commons Attribution-Share-Alike License 3.0.